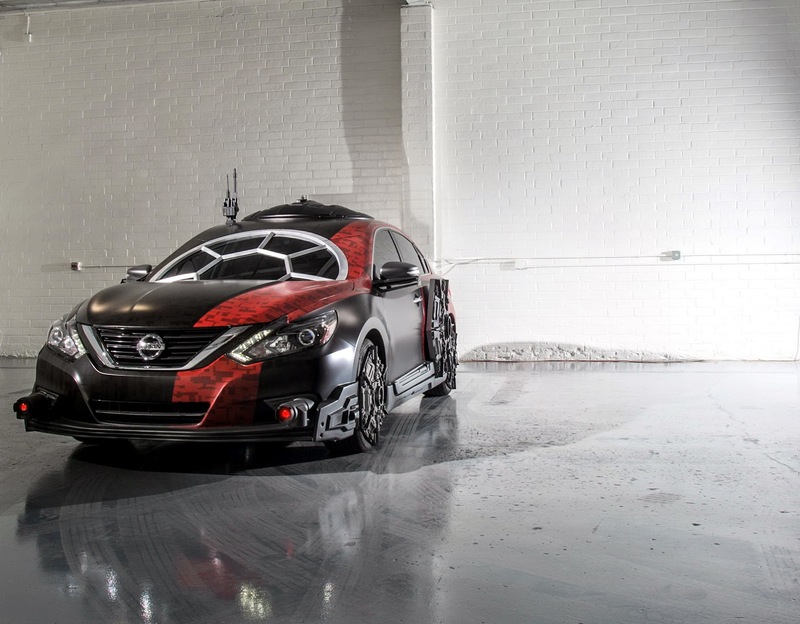 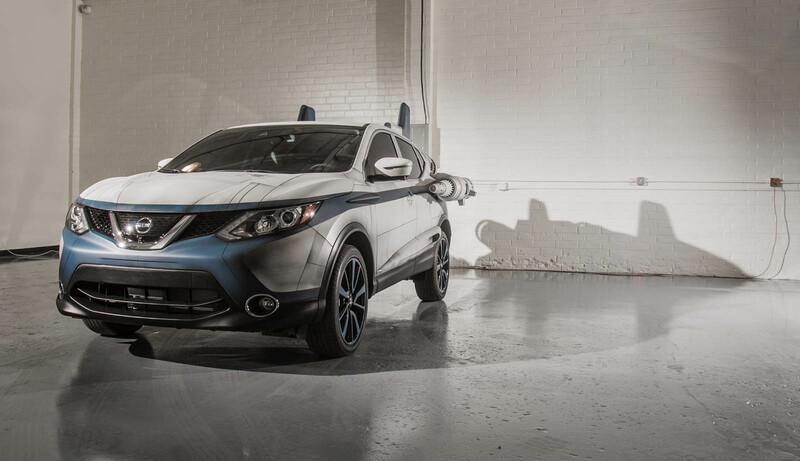 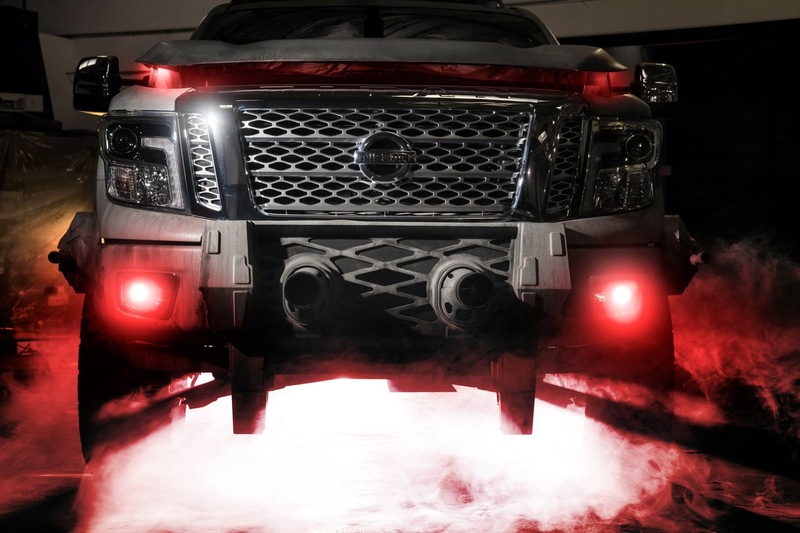 Nissan is the latest automaker to make standard on a number of its vehicles what advocates consider to be the next important safety feature. 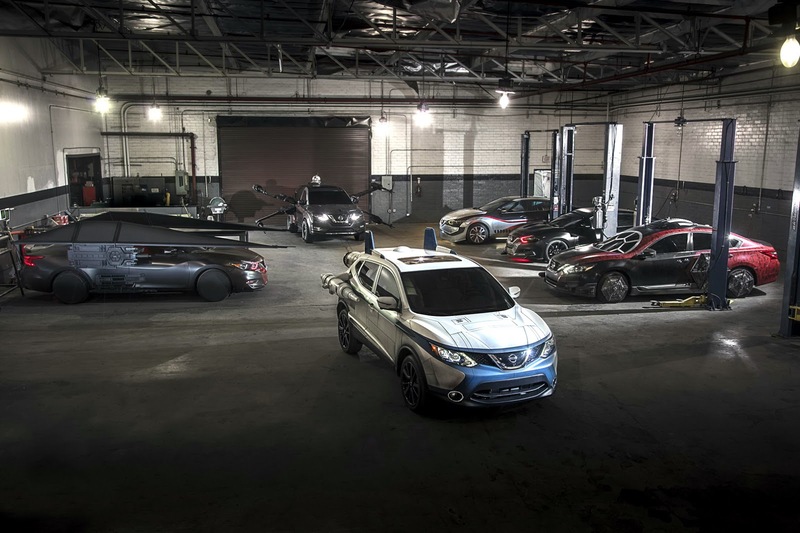 Nissan is expanding its Midnight Edition equipment package fleet by introducing five new models at the Chicago Auto Show 2017. 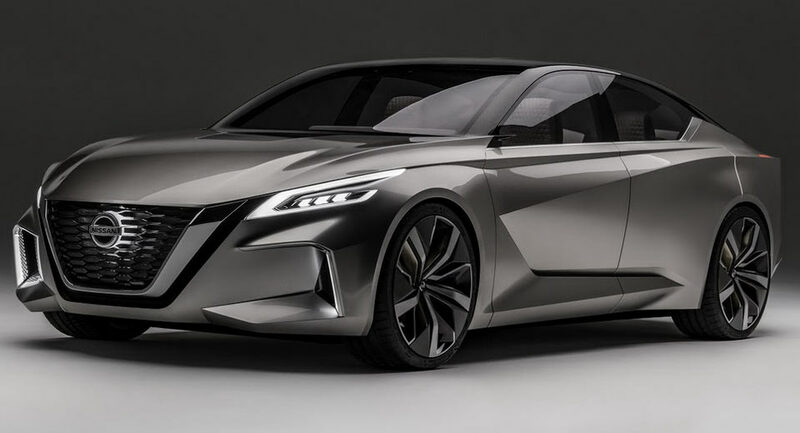 The new Nissan Vmotion 2.0 concept was revealed in Detroit, with the company saying that it’s signalling the future sedan design direction they’re willing to take. 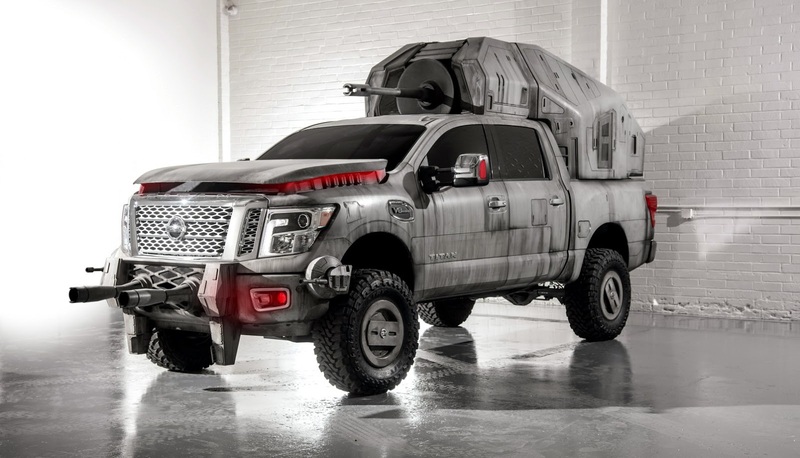 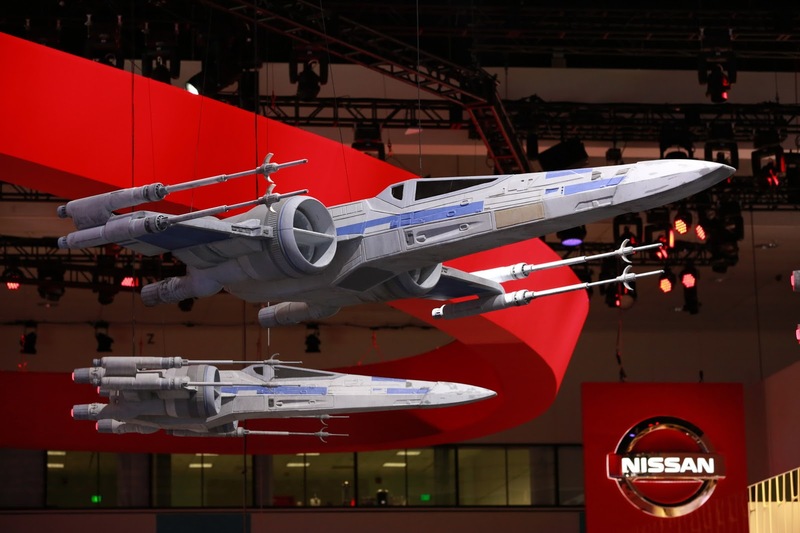 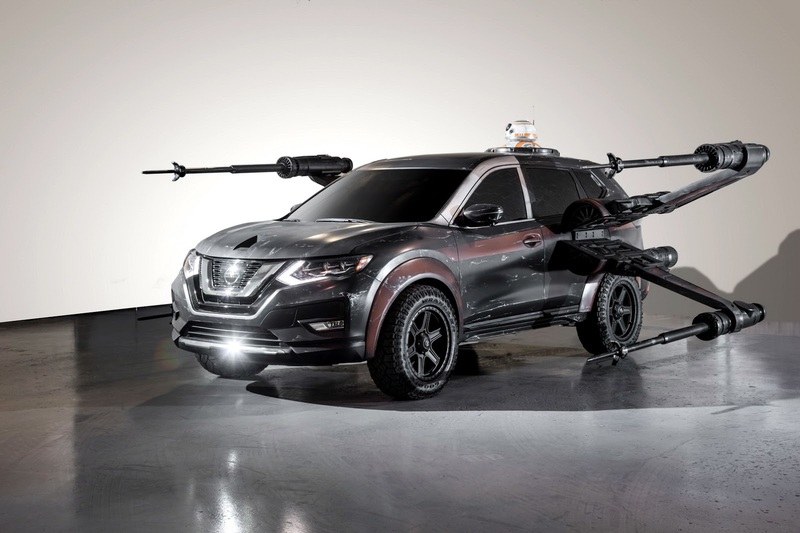 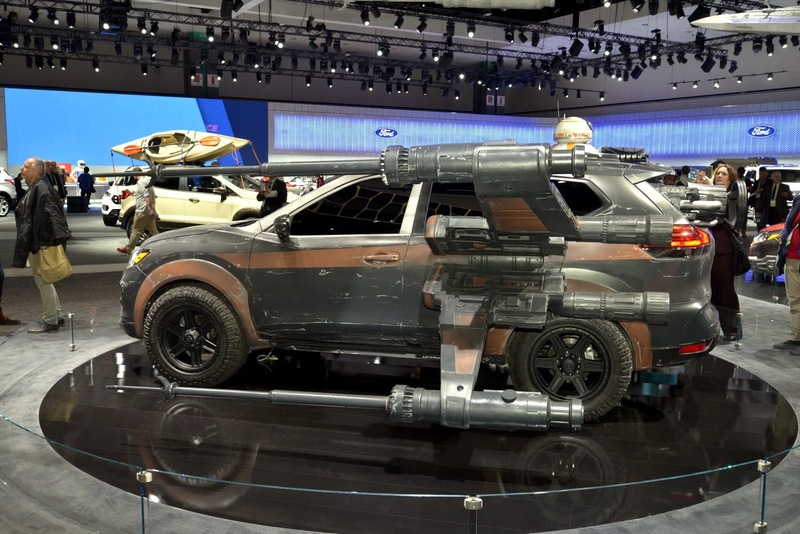 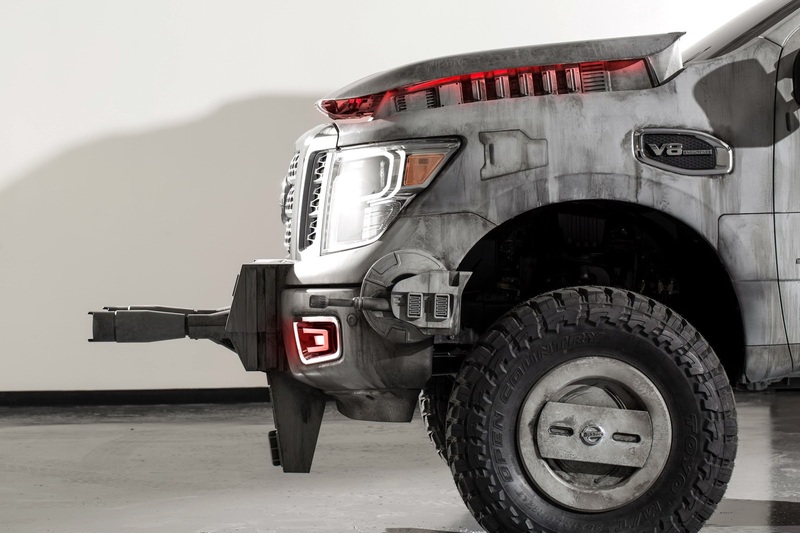 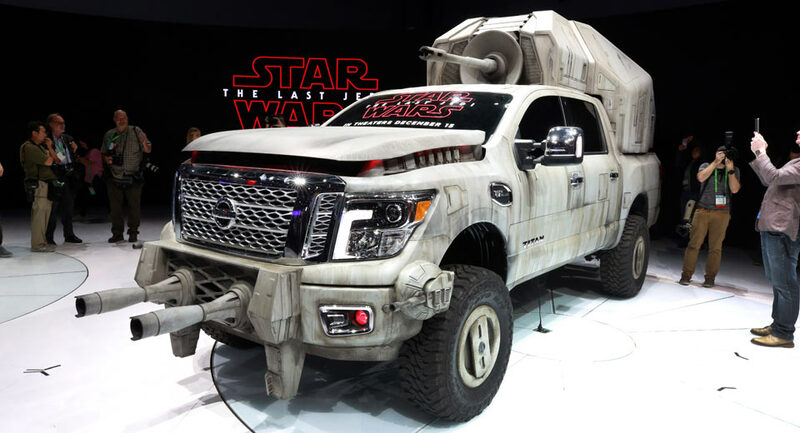 All we have to say is hell yes Nissan, you take that direction, right now. 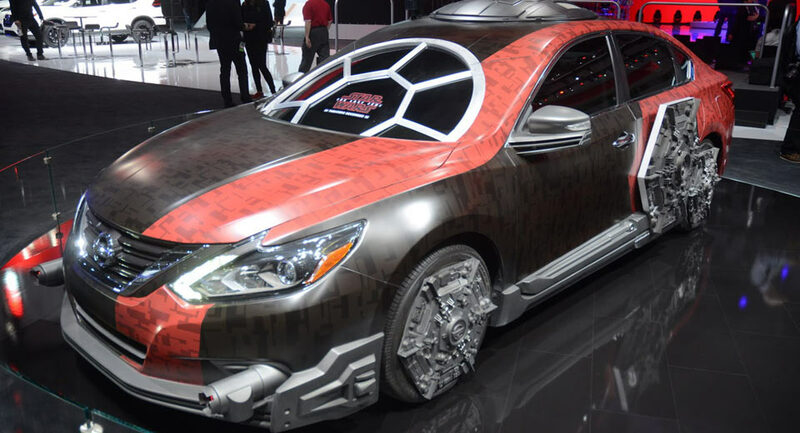 If for some reason you thought the 2016 Nissan Maxima wasn't enough of a looker, maybe you should try this customized edition for size instead. 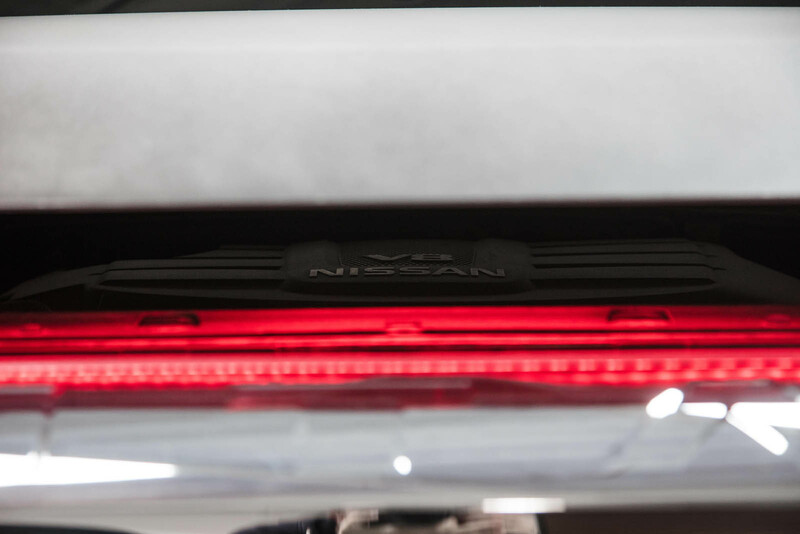 Nissan has found a problem with the ABS actuator pumps on some of its vehicles leaking brake fluid onto an electrical circuit board. 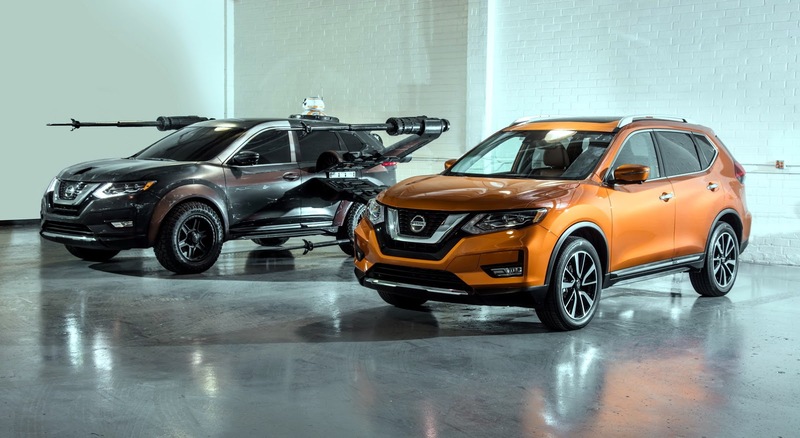 As any high school graduate could tell you, liquid meeting electricity is bad news, so the National Highway Traffic Safety Administration has issued a recall for the affected vehicles. 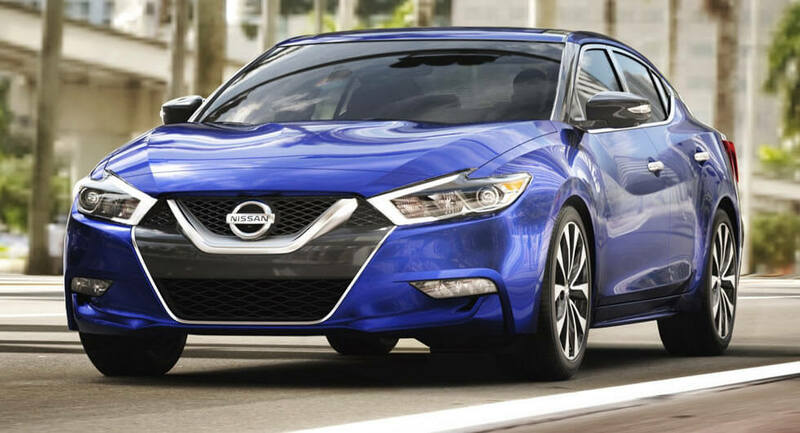 Nissan has enhanced the Maxima for the 2017 MY, which is on sale at dealers nationwide. Nissan announced the availability of a special Midnight package exclusively for the 2016 Maxima SR models. 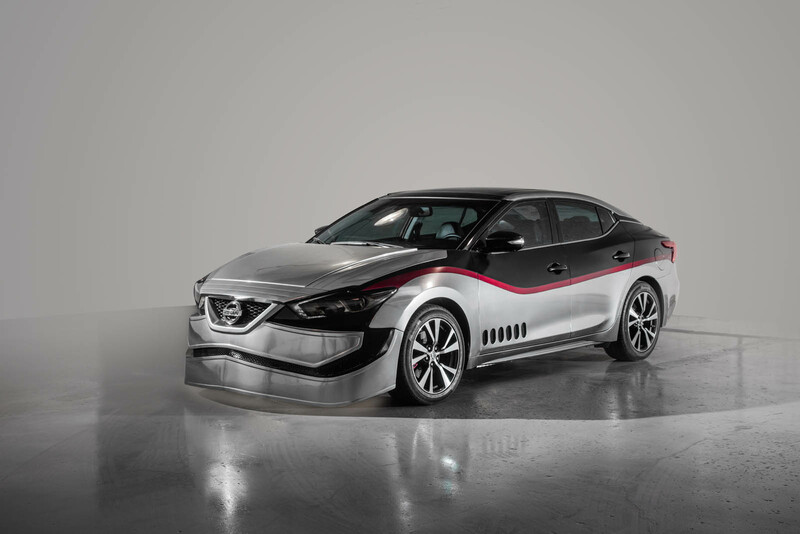 Nissan's new 2016 Maxima served as the official Safety Car at Oak Tree Grand Prix in Virginia. 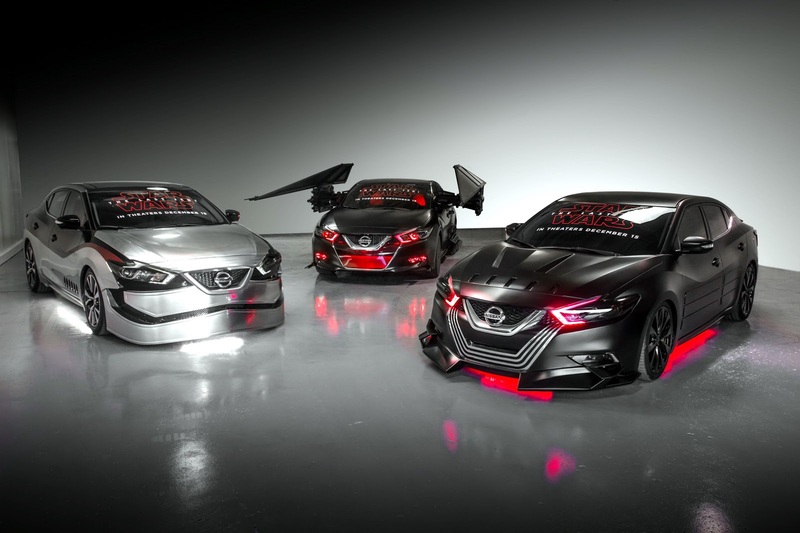 The Maxima will resume Safety Car duties at Lone Star Le Mans, Sept 17-19. 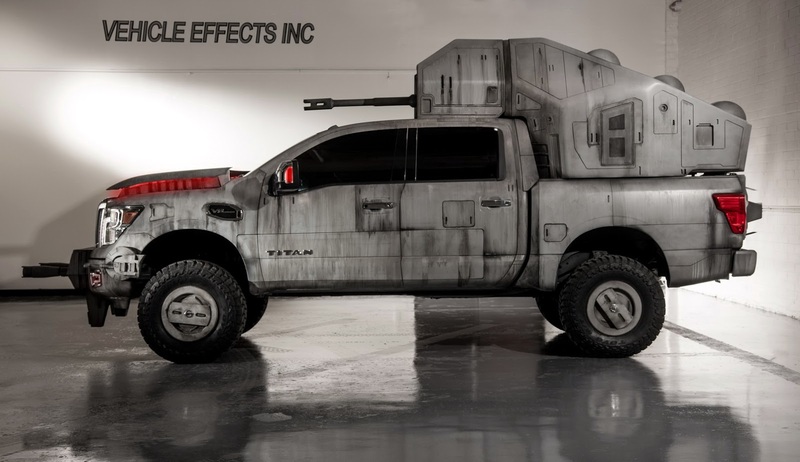 You can always count on eBay to provide the most bizarre and crazy automotive creations. 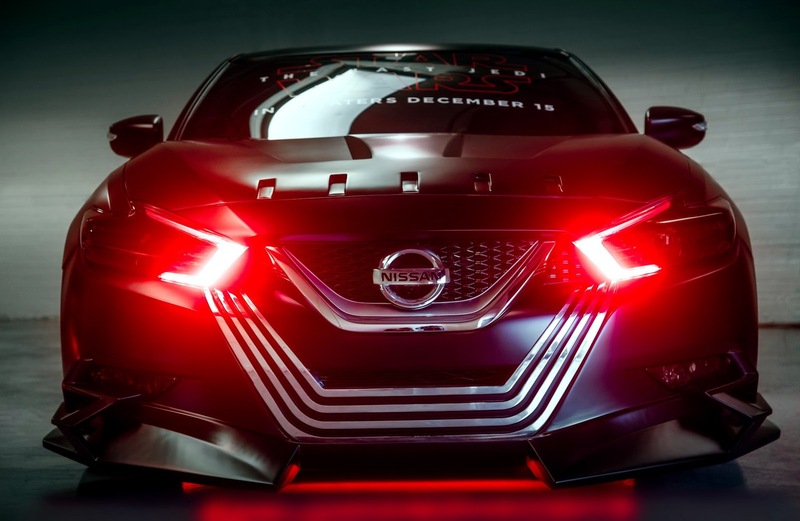 We already knew about Nissan unveiling something that should set the tone of the upcoming redesigned Maxima. 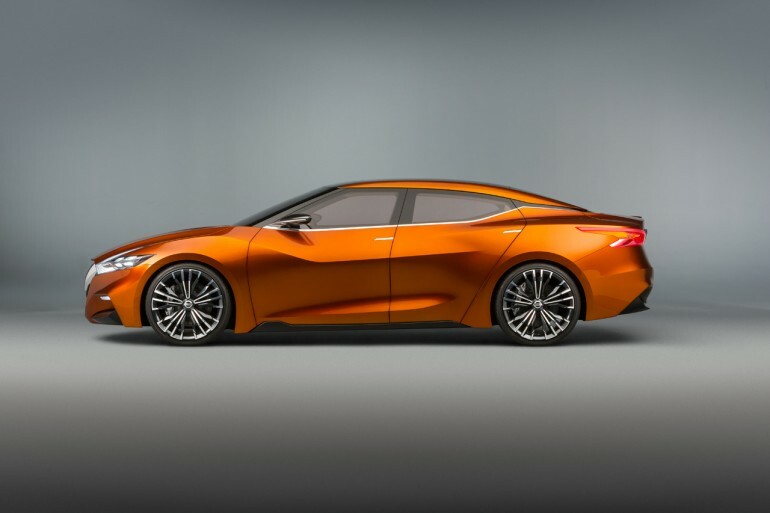 What we think is the basis for the next Maxima, was revealed today at the North American International Auto Show in Detroit as the Nissan Sport Sedan Concept. The new concept has many of the new styling language found in the Nissan brand while it sports 4-doors giving us the indications of being the next Maxima. 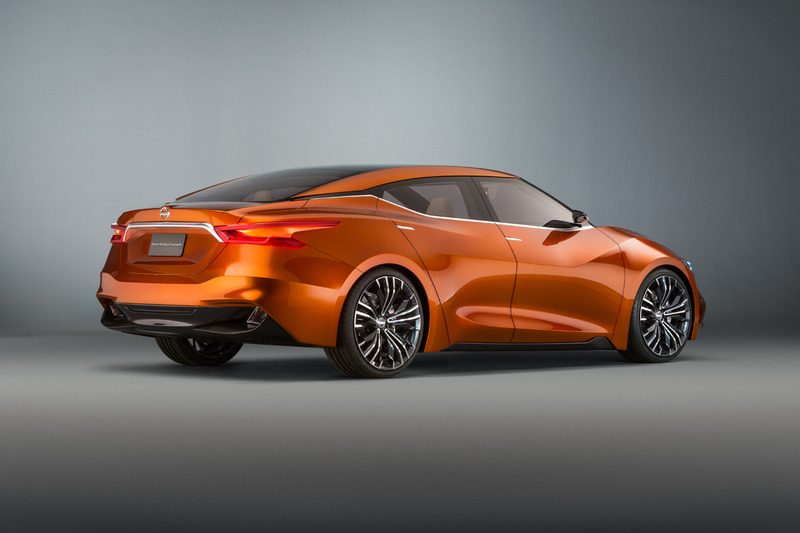 For a while, the Nissan Maxima received a lot of flak for retaining the ‘4-door sports car’ moniker. 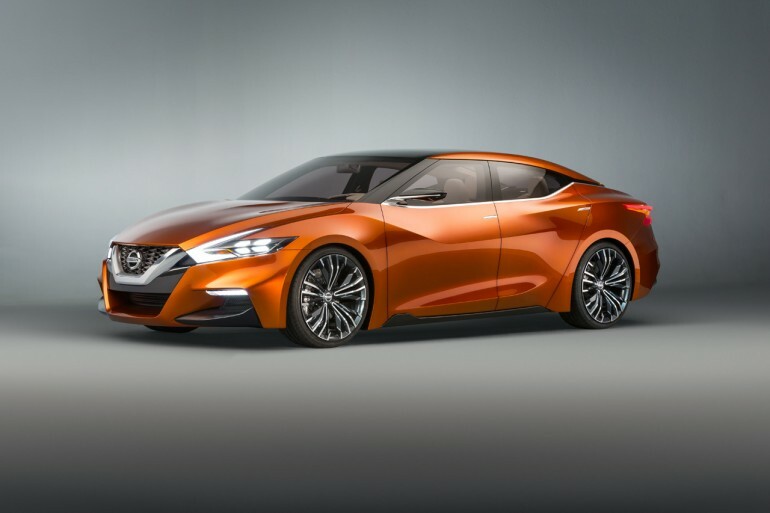 It is possible, by the looks alone, that the new Nissan Sport Sedan Concept could capture that nomenclature so consumers and enthusiasts alike won’t give Nissan such a hard time about calling what we see here a 4-door sports car. This Nissan Sport Sedan Concept is said to be powered by a 300-horsepower 3.5-liter V6 mated to a CVT transmission. 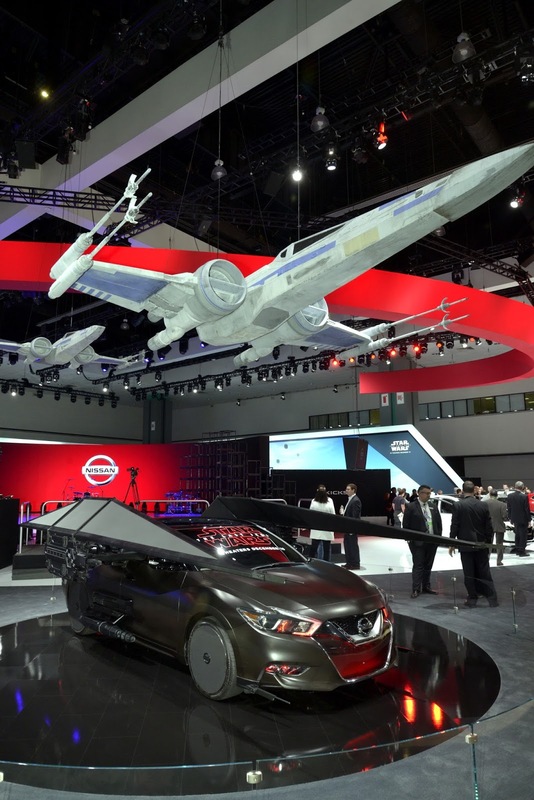 That layout is all-too familiar to what we already see in current Nissan products. 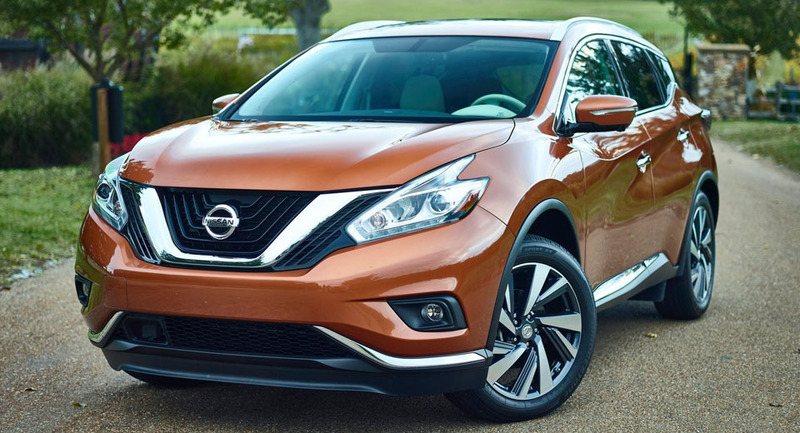 We are not so sure a CVT transmission belongs in a 4-door sports car, though Nissan could do away with that old classification. 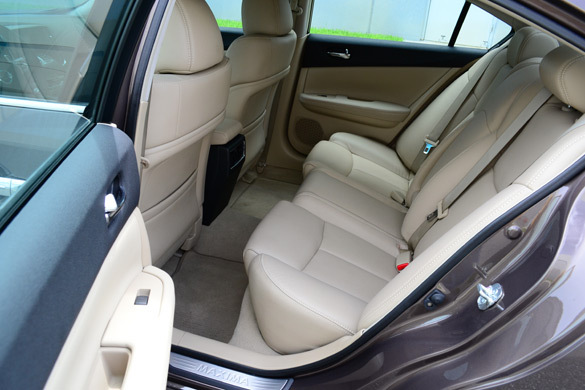 Though, we fail to find the sportiness in any CVT transmission. 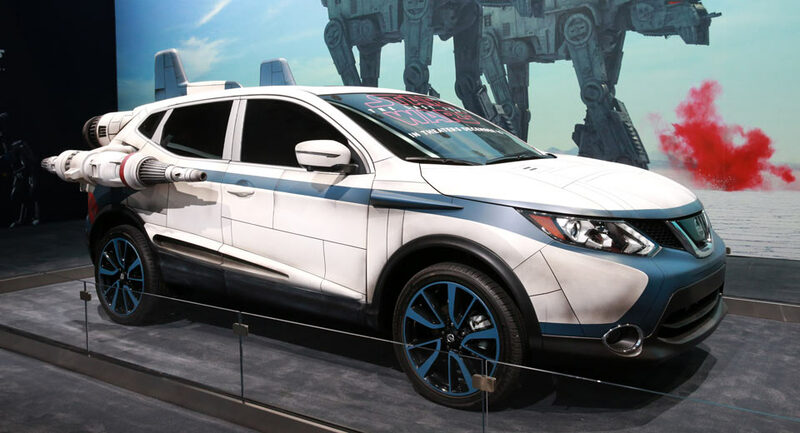 However, this concept does look pretty awesome and you could easily call it sporty. First there was the Nissan Resonance, with its boldly futuristic aerodynamic styling signalling the direction of upcoming Nissan mid-size crossovers. 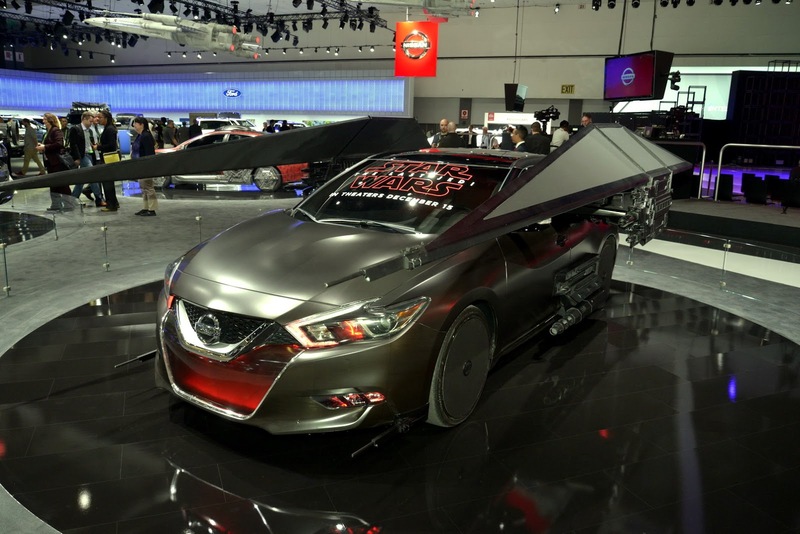 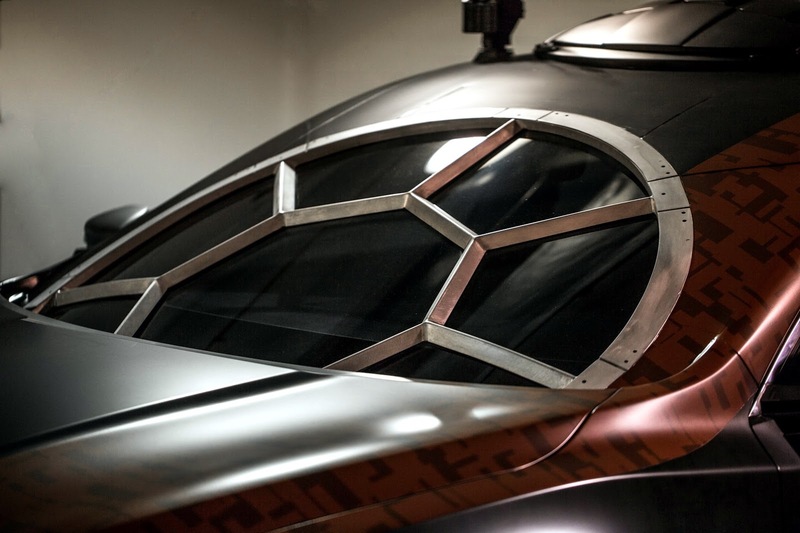 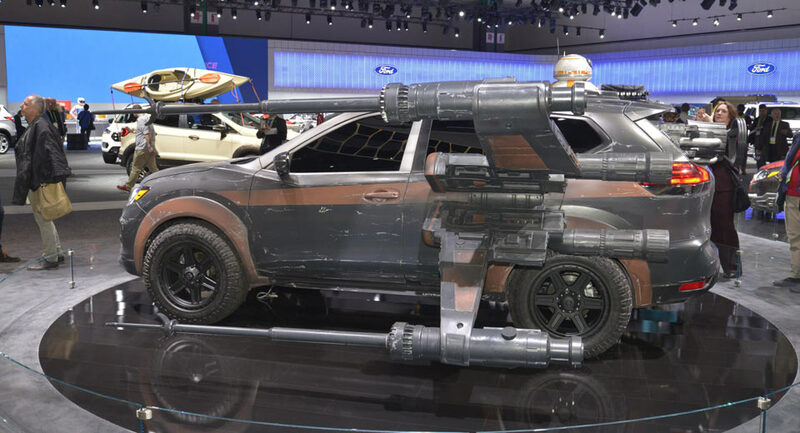 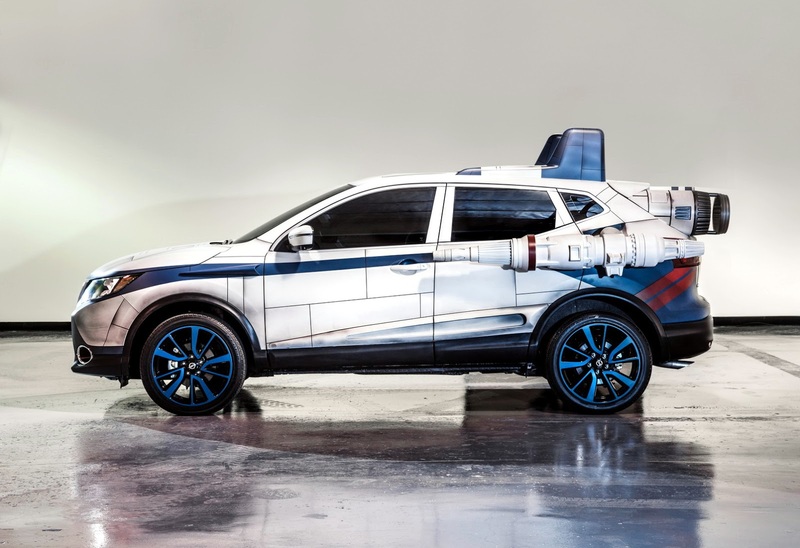 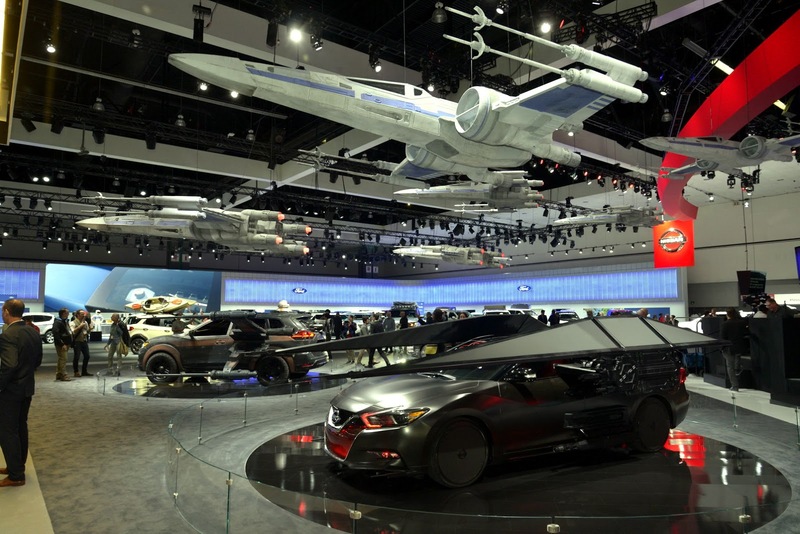 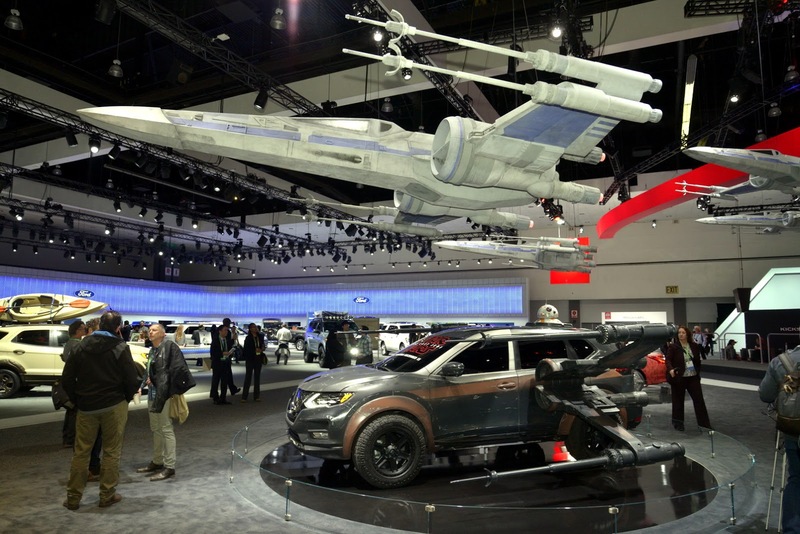 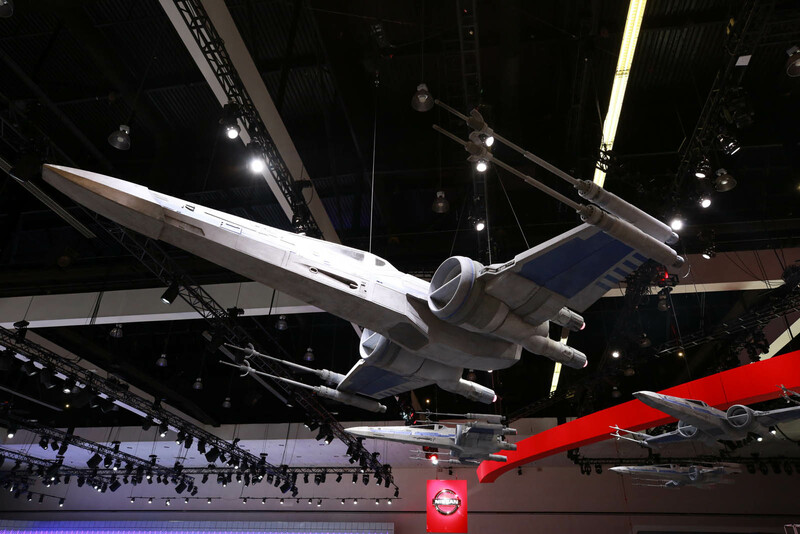 It made its world debut at the 2013 North American International Auto Show. 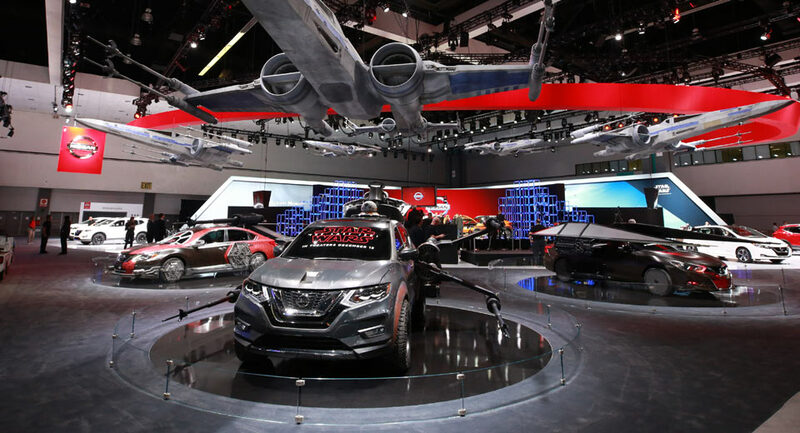 Then came the Nissan Friend-ME, showcased at Auto Shanghai 2013, with its category-busting energetic and provocative modern design. 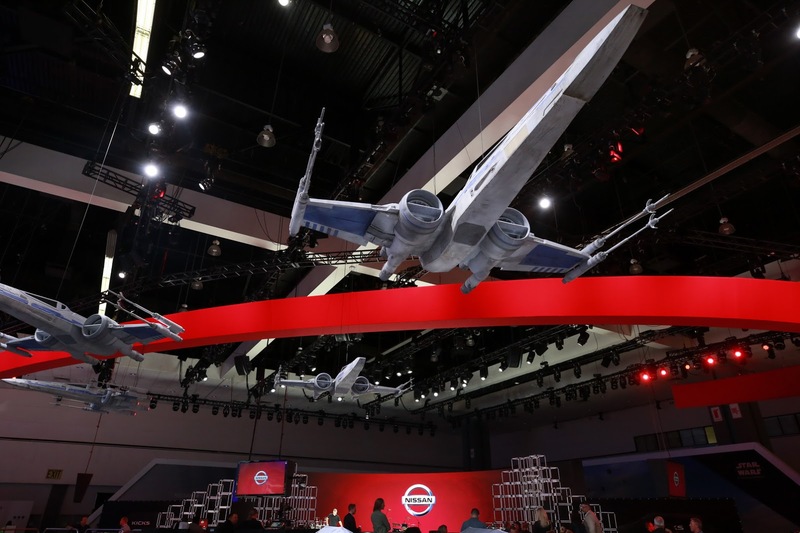 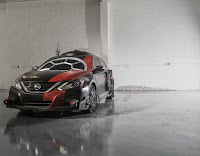 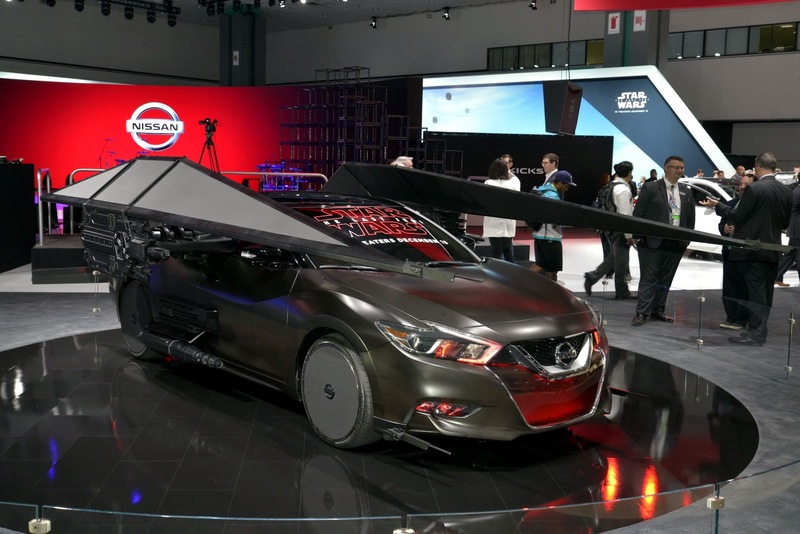 And now, making its world debut at the 2014 North American International Auto Show in Detroit comes the Nissan Sport Sedan Concept – applying real sports car performance standards and new design philosophies to a 4-door sedan. 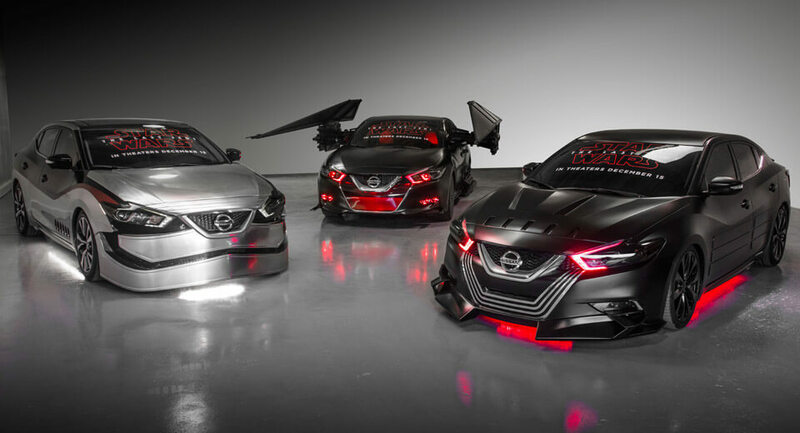 Together the three concept models form the roadmap to the next generation of Nissan exterior and interior design evolution – and the global design-led renaissance of the Nissan brand. 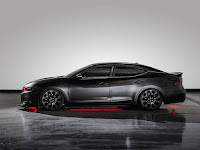 Though targeted for specific markets and customers, Resonance, Friend-ME and now the Sport Sedan Concept share distinctive and memorable design signatures. 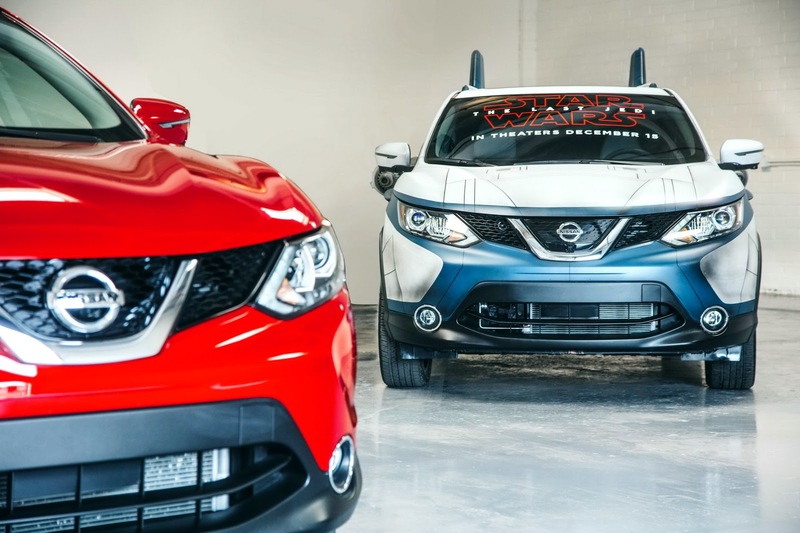 The strong front end is marked by Nissan’s “V-Motion” movement, which flows from the front grille through the hood to create an impressive cadence and emotional attitude. 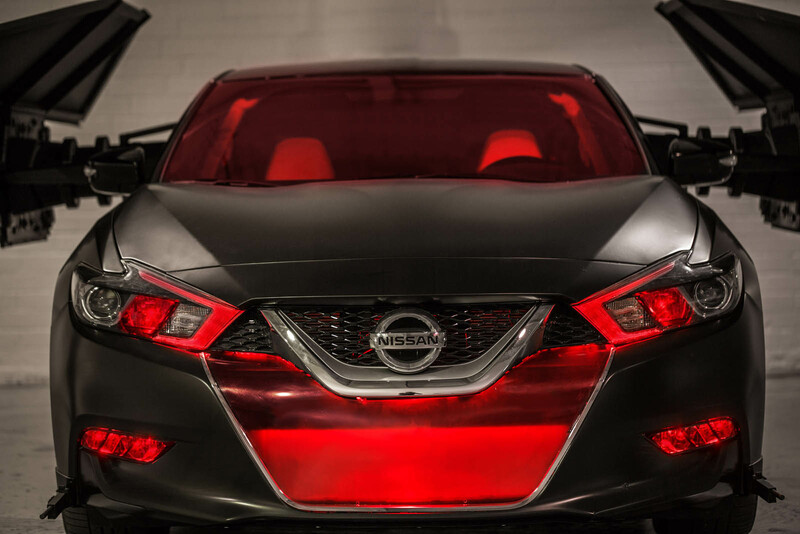 The unique boomerang-shaped lighting signature also accentuates the rear designs of each vehicle. The innovative “floating” roof, also featured prominently on Resonance, Friend-ME and the new Sport Sedan Concept, gives an impressive sense of lightness and sophistication. 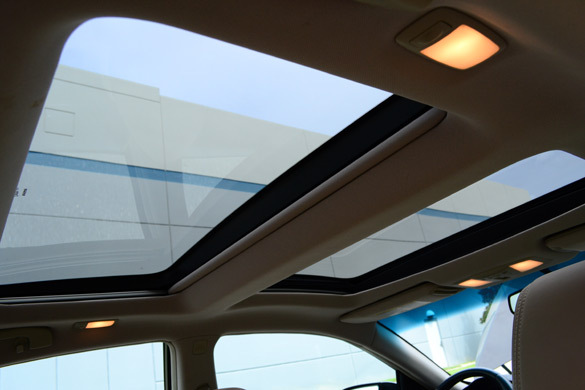 The thin, sculpted pillars make the cabins of each concept appear less heavy and help open the greenhouse for an airy, inviting interior environment. Resonance, Friend-ME and Sport Sedan Concept also share an edgy muscularity, derived from their low, wide stances with tires placed far out to the corners. 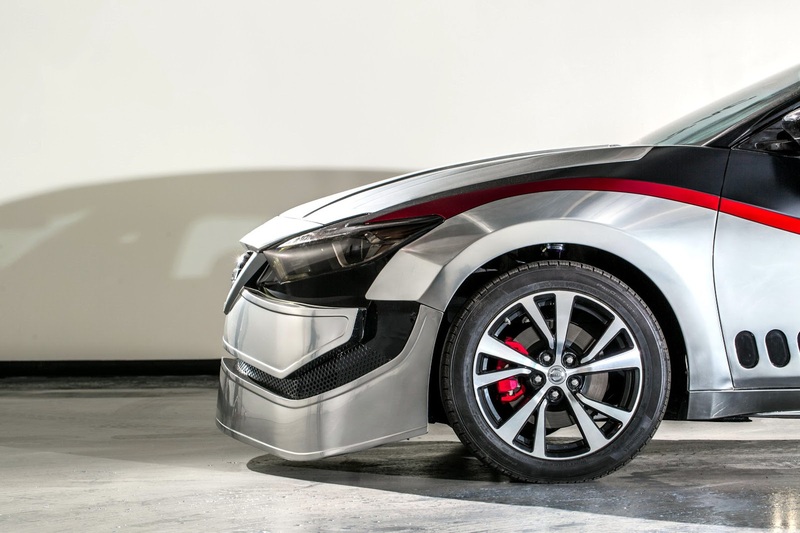 The designs also utilize short front and rear overhangs, reduced ground clearances and small gaps between wheels and fenders. 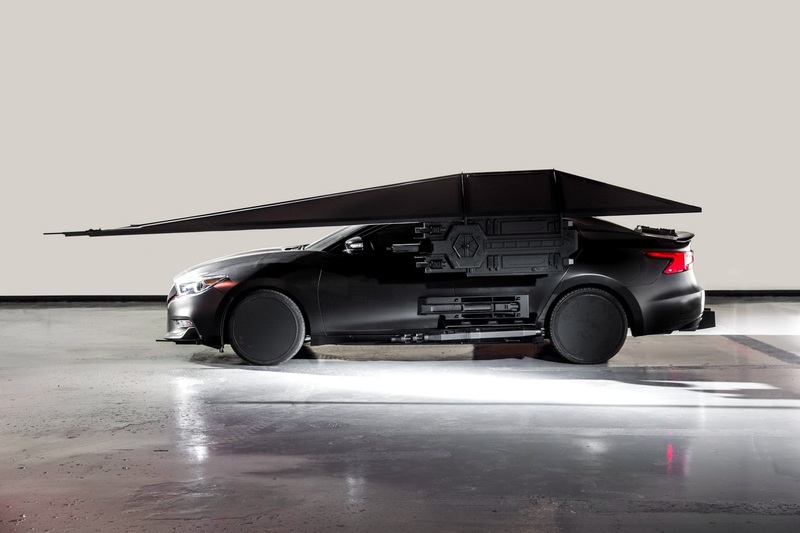 The resulting look imparts a sporty and athletic strength, rather than brute and aggressive force. 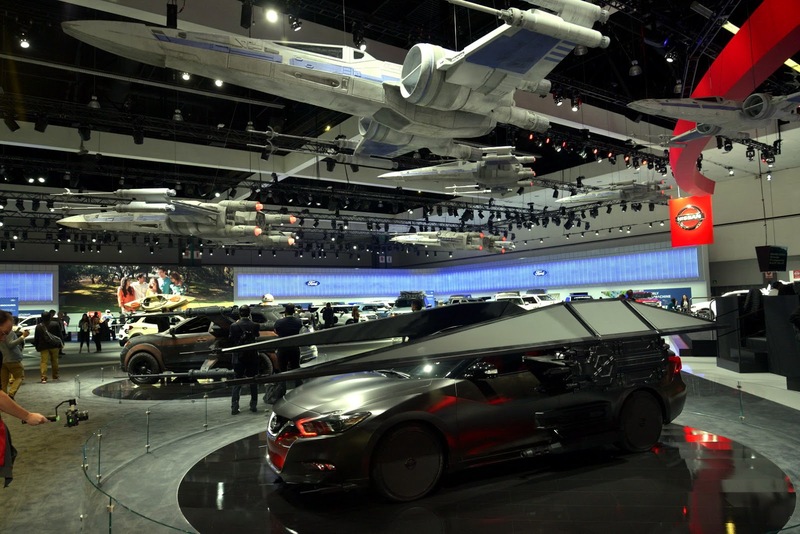 Inside, the trio of advanced concepts provide private-yet-connected spaces for drivers and passengers. 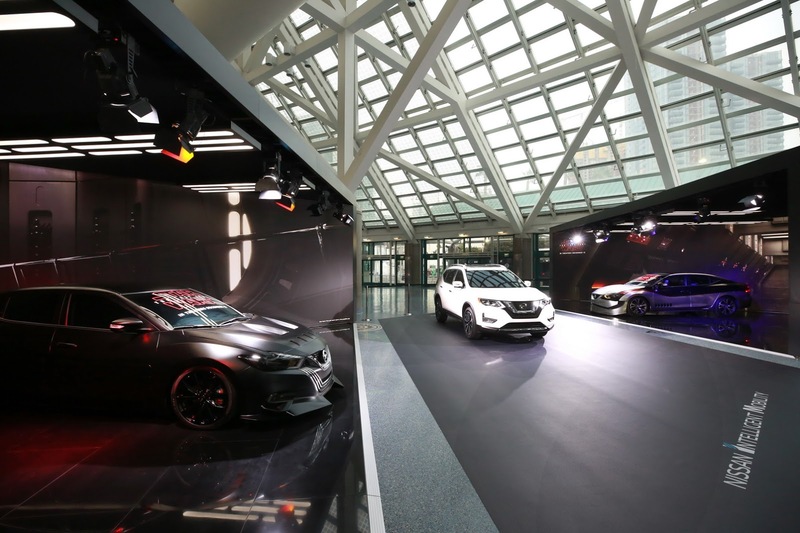 The high tech, streamlined feel of each interior derives from a combination of magnetic detailing and use of high-contrast interior colors and materials. 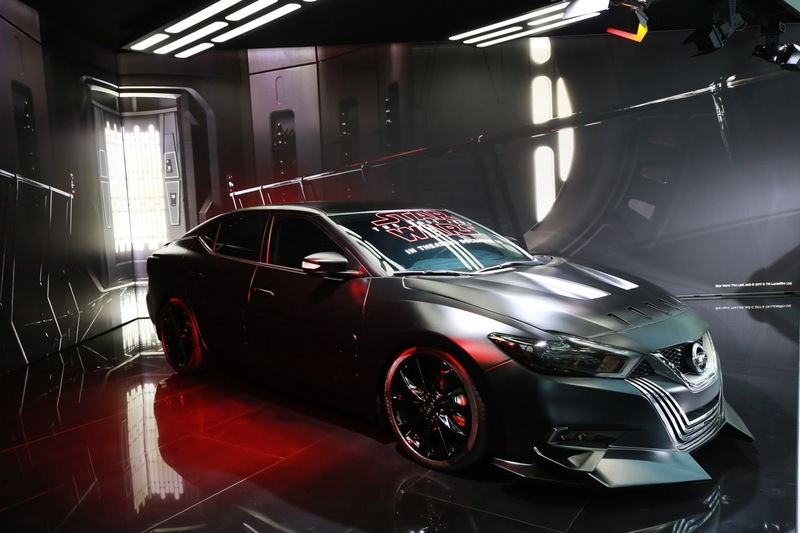 The 2012 Nissan Maxima, now in its 4th year for the current generation, receives only minor updates and a Limited Edition package adding some of the top SV trim features and sporty styling to the base S model. For 2012 and the upcoming 2013 model, the Maxima receives restyled tail lights and a new selection of wheel styles. 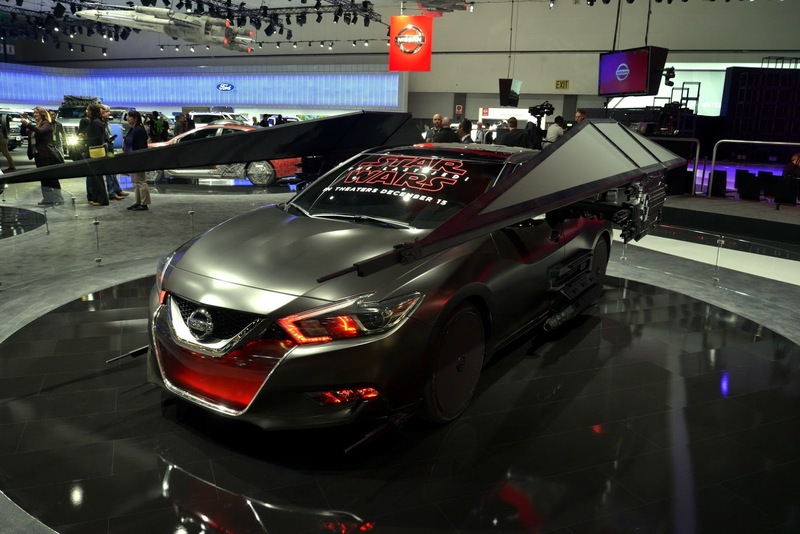 The 2012 Nissan Maxima still serves its purpose as Nissan’s flagship sedan continually grasping at its traditional 4-door-sport-car moniker ported through sporty handling and performance attributes all wrapped up in a V6-powered front-wheel-drive sedan package. 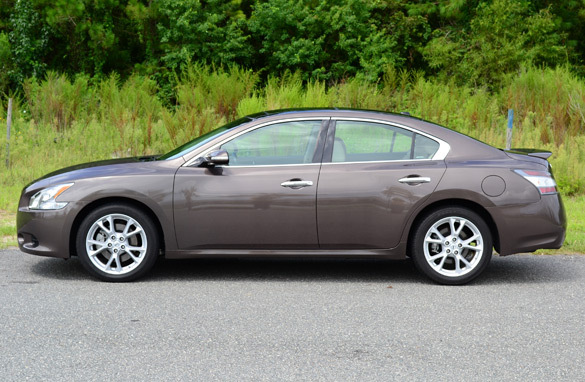 To put it lightly, the 2012 Nissan Maxima feels a bit dated when you consider its higher price point when pitted next to the newly redesigned 2013 Altima. 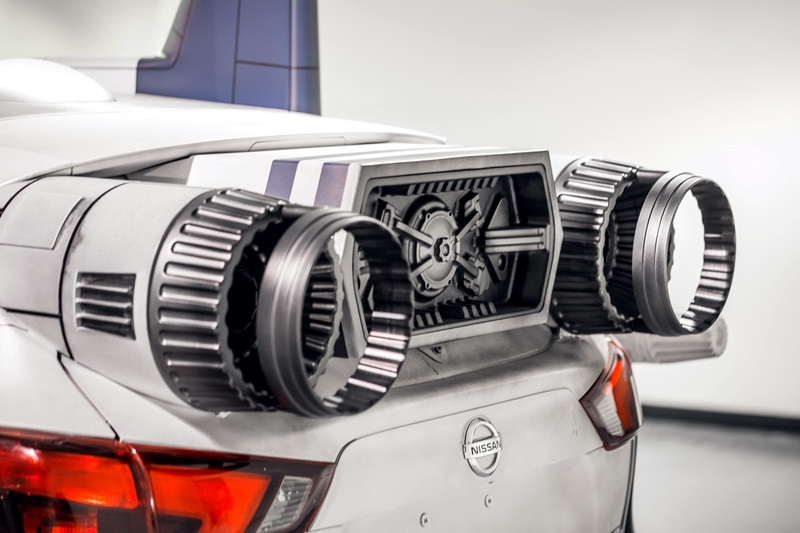 The Maxima has always offered a higher level of features and luxury amenities that gave the Maxima a perception of being placed on a pedestal above any other sedan offered by Nissan. Still, the 2012 Maxima gives drivers an enjoyable and quite exciting driving experience when compared to much of its competition. 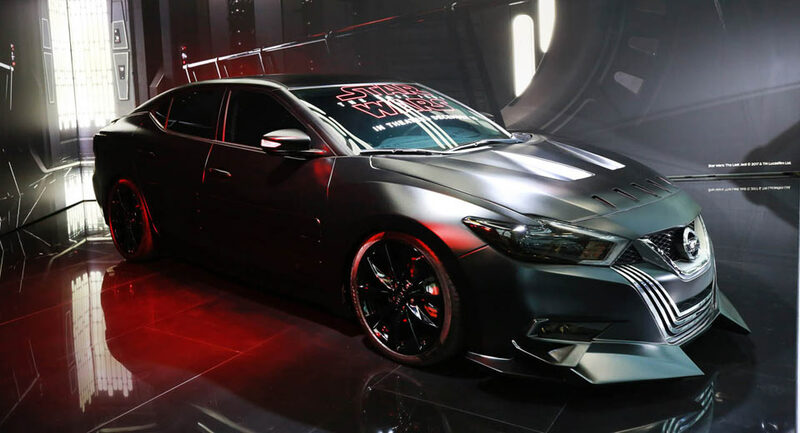 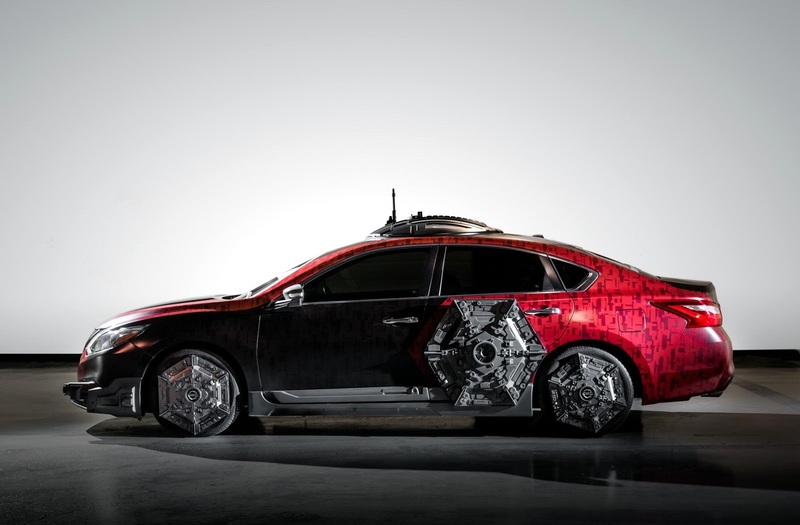 Not to mention, the 290 horsepower V6 engine combined with an aggressively mapped CVT transmission gives the Maxima excellent acceleration, 0-60 mph in just 6.2 seconds. 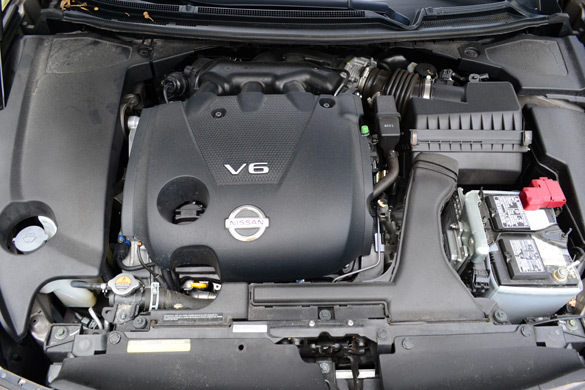 The CVT unit in the Nissan Maxima is by far one of the best the automotive market has to offer. 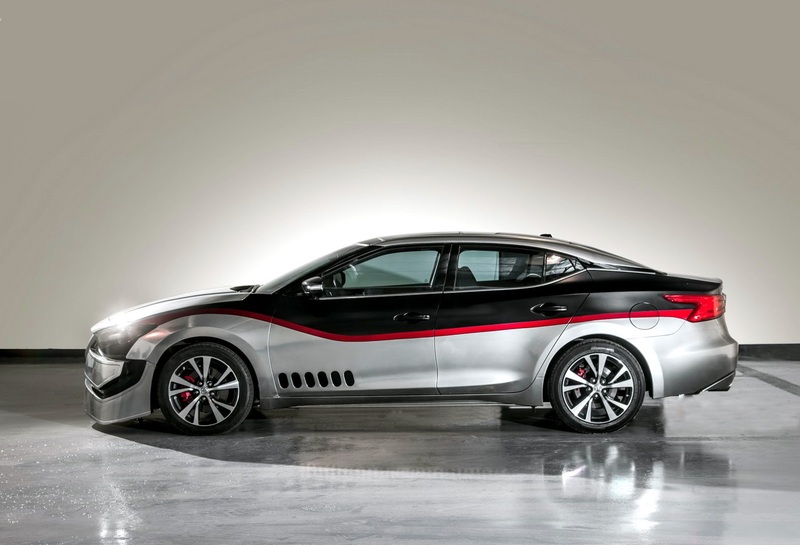 CVTs, including this one, are not exactly known for being all that sporty in the first place. The paddle shifters, as part of an optional Premium Package, adds a bit of peculiarities to the drive by offering simulated shifting points out of the quick ratio-bending CVT. 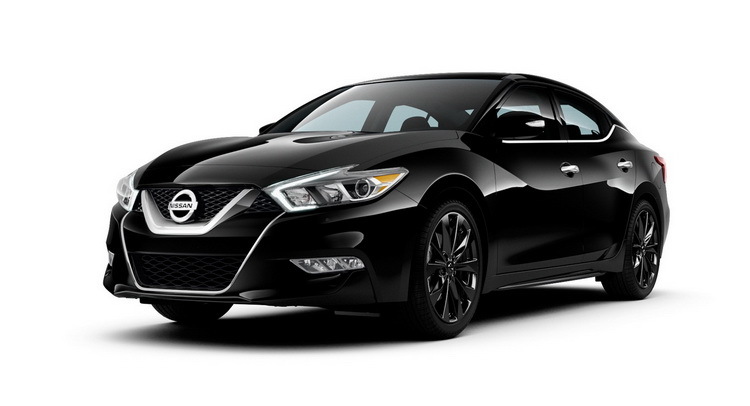 The only part of the Maxima truly being a 4-door-sports-car is its mid-sized agility. 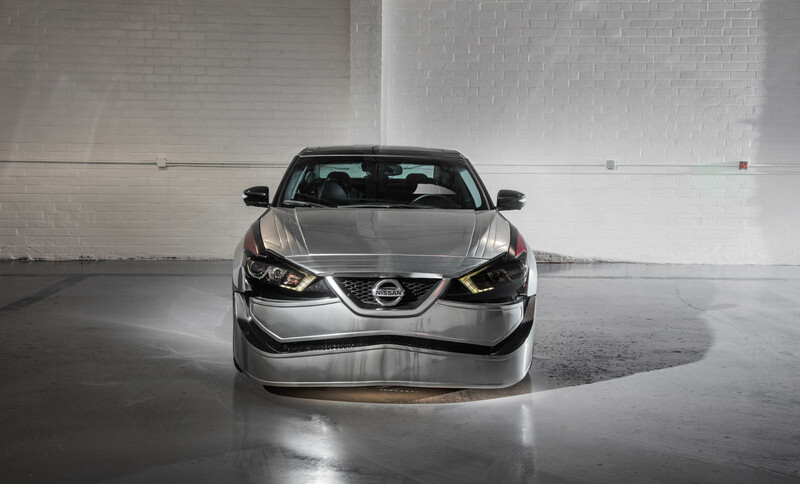 Departing from the drivetrain and somewhat fun-sapping CVT, the Maxima remains to be a civil mid-sized entry-level luxury sedan. 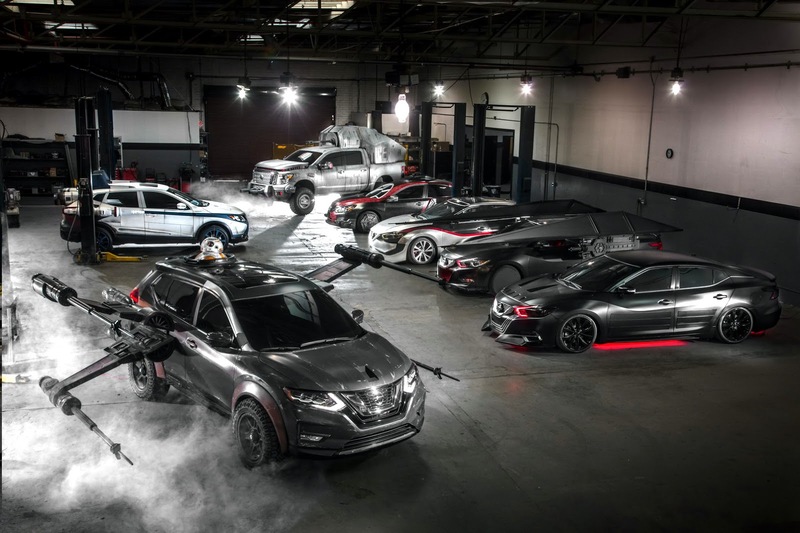 The Maxima serves up a competitiveness amongst luxury branded vehicles through its comparative short base price tag and tall order of available features, some of which really matter to conservative-spending consumers. 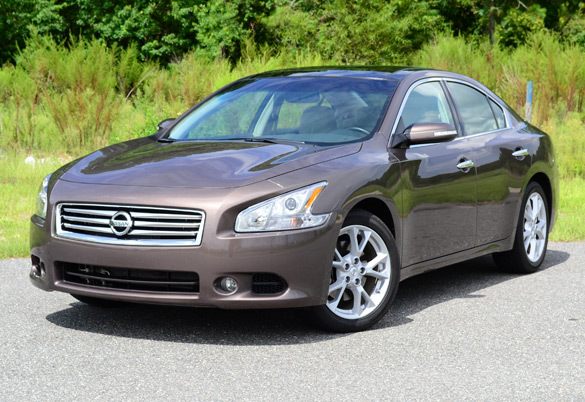 Over-all, the 2012 Nissan Maxima retains its expected sporty driving dynamics. 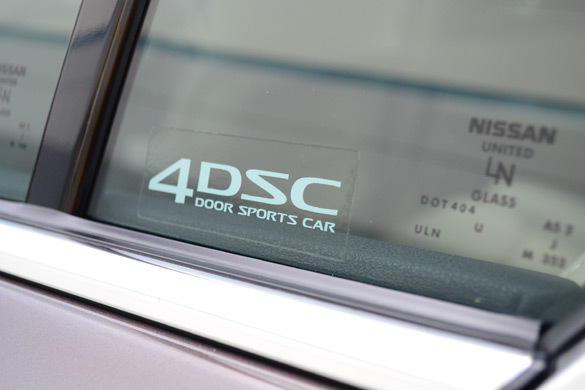 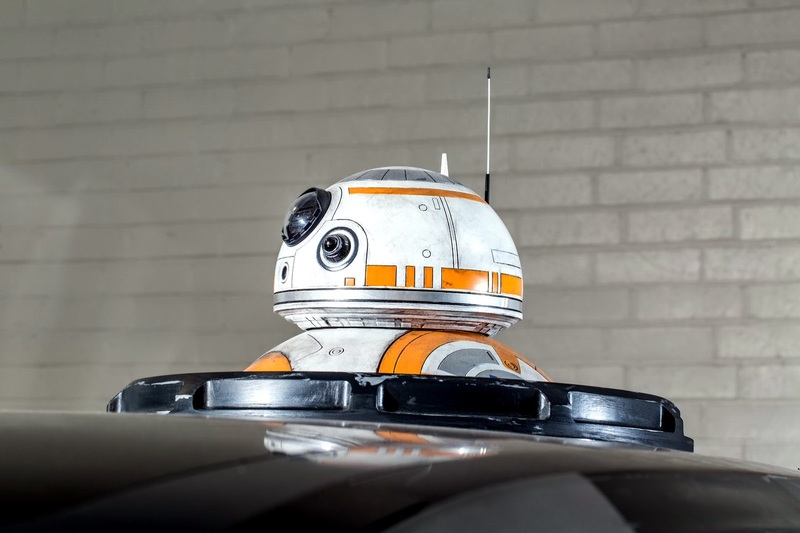 They are about as sporty as you can get from a front-wheel-drive mid-sized sedan. 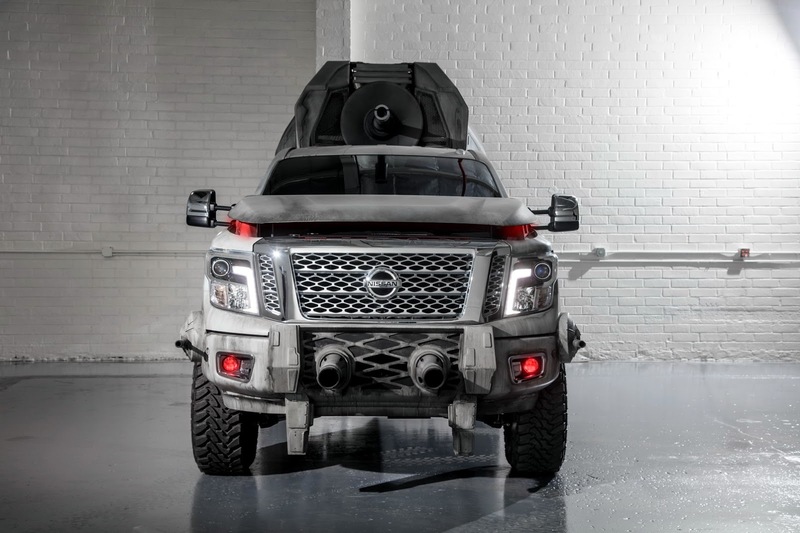 Power from Nissan’s long-touted VQ-series V6 engine is eager to break the front wheels loose even during mid-throttle launches. 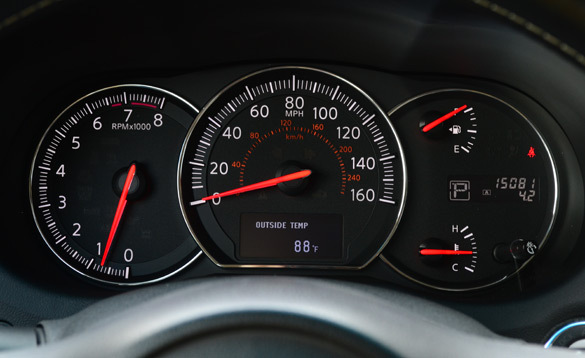 Torque steer is fortunately kept to a minimum but still requires the driver have full attention when laying into the gas pedal. 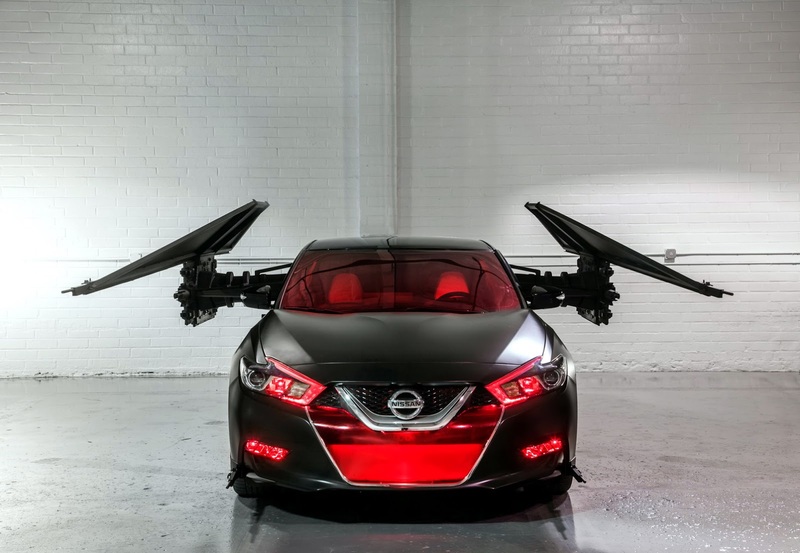 The Maxima’s balance appears to be the best in its class and has a well-dampened suspension system that gives the Maxima a sporty yet smoothly adapted ride quality. 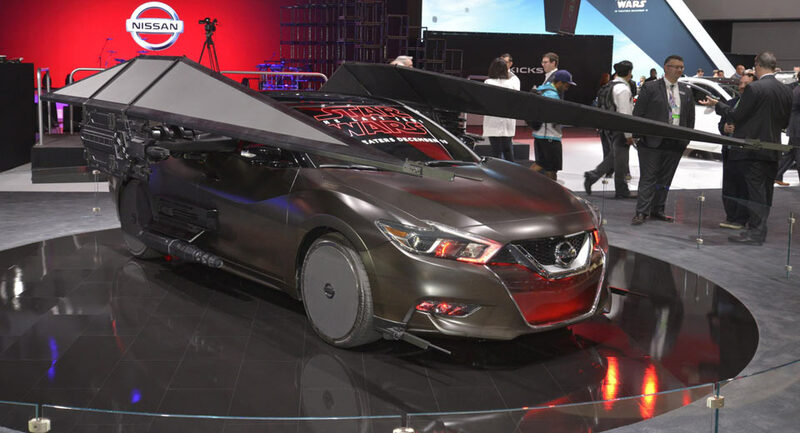 My 2012 Nissan Maxima SV test vehicle was fully loaded with a premium package, premium technology package and rear spoiler. 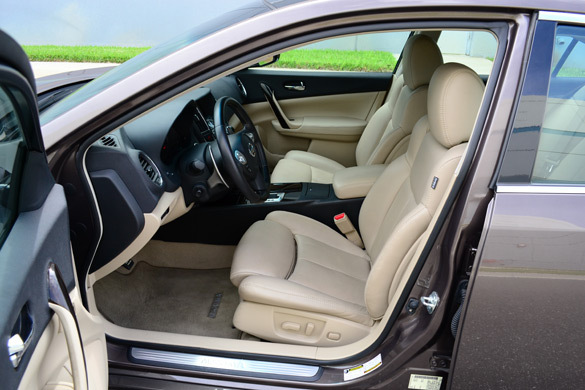 All together, these packages combined many sought-after luxury options such as HID Xenon headlights, premium leather seats, heated leather steering wheel, climate controlled driver’s seat, dual-panel moonroof w/ power sunshades, rear power sunshade and a 7-inch color touch-LCD screen for the hard-drive based GPS navigation, 6-cd changer /w Bluetooth streaming audio system, backup camera monitor, a/c and vehicle control settings. 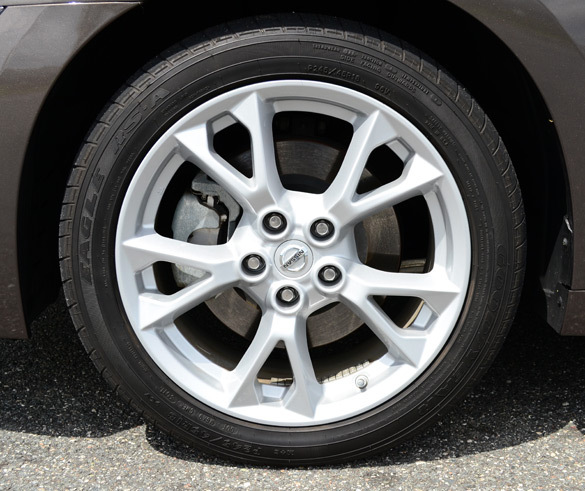 My 2012 Maxima rolled on 18-inch alloy wheels. 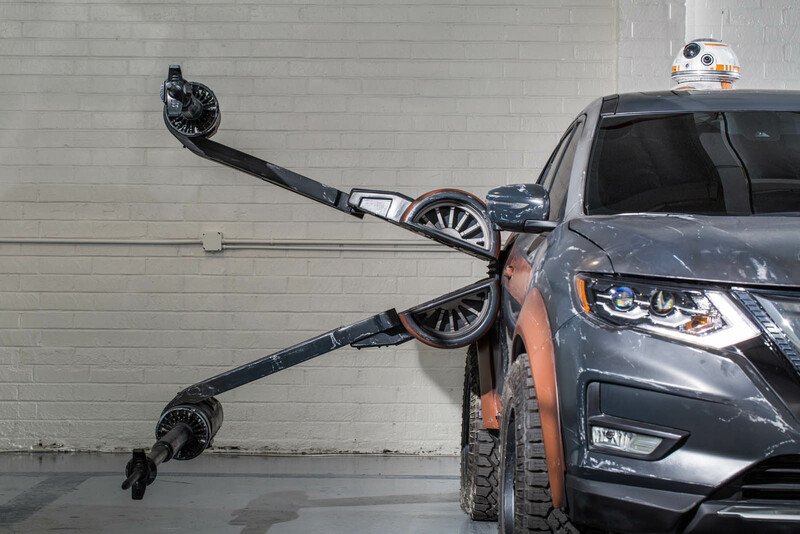 Buyers may opt for larger 19-inch wheels as part of a Sport Package. 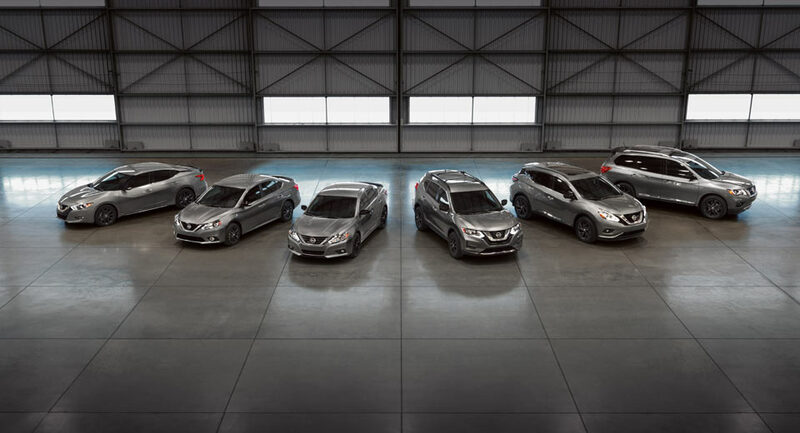 The 2012 Nissan Maxima is still set-apart from its closely related Altima family member. 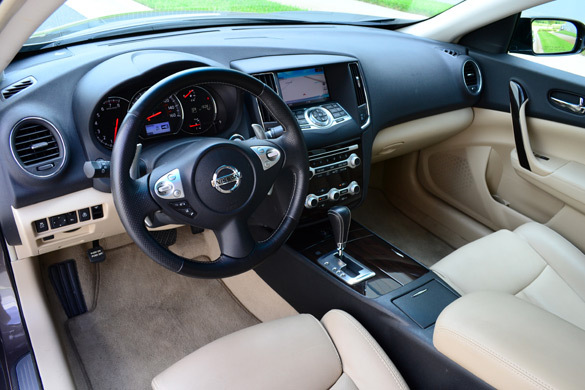 Many standard features on the Maxima are either not offered on the Altima or require a high trim level, such as power tilt and telescoping steering wheels, 8-way power driver’s seat w/ 4-way power passenger’s seat, LED tail lights and a more-powerful 290 horsepower V6 engine. 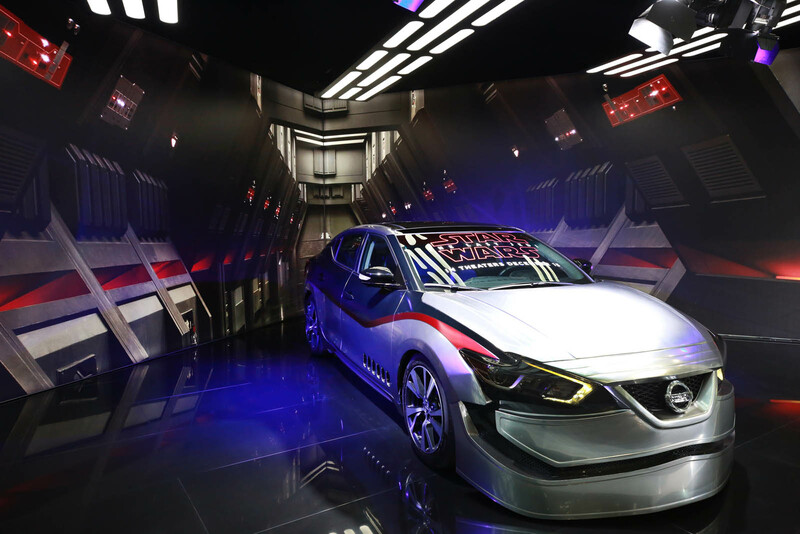 Though, when it comes to efficiency the Maxima has some catching up to do with its mediocre 19 mpg city and 26 mpg EPA estimates. 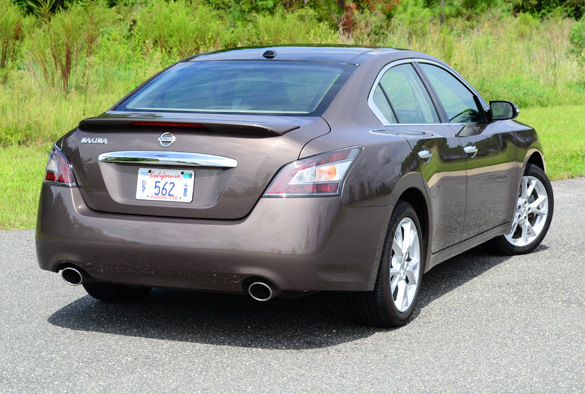 The 2012 Nissan Maxima still lacks proper brand recognition within the luxury segment but manages to hold its own sleeper status without a ridiculous price. 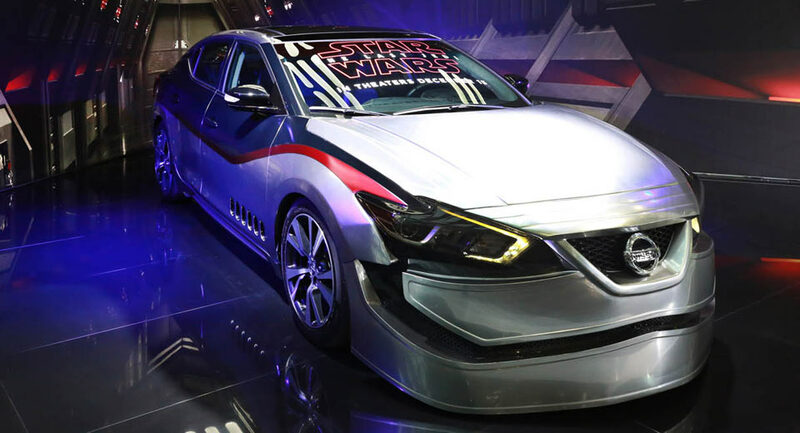 Considering its starting price point of $32,420, and my loaded SV trimmed Maxima topping out at $40,930, buyers literally have a long list of options to consider on this vehicle and its competition.